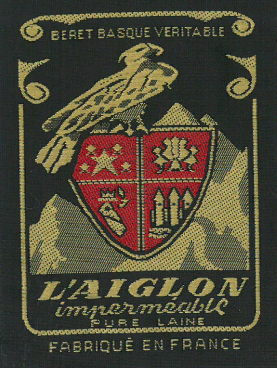 In the year 1840, Lucien Laulhère established the Laulhère company in Oloron-Sainte-Marie (Béarn), manufacturing handmade traditional berets known as the ‘béret Basque’. 175 years later, Laulhère’s goal is to continue this ancient tradition, to ensure a national treasure lives on. 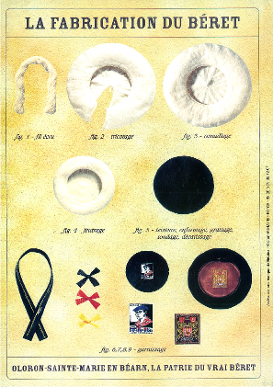 Using only first class raw materials, all Laulhère’s berets are made in France. The manufacturing technique has been developed over 170 years and has changed very little, producing a unique felted wool, velvety to the touch, yet waterproof and amazingly resistant. Laulhère’s hand crafted headwear can only be found in one place, the Laulhère beret factory in Oloron-Sainte-Marie. The attention to detail and unique hands on approach is what makes Laulhère the quality product it is today.